LVT is a great choice of flooring for any room in your home. It is becoming more and more popular due to its huge list of benefits. It is affordable, hard wearing, versatile, waterproof and available in a wide range of detailed designs. This entry was posted in Luxury Vinyl Tiles and tagged Vinyl flooring, advantages of LVT, benefits of LVT, luxury vinyl tiles, LVT on March 18, 2019 by Chris Elliott. 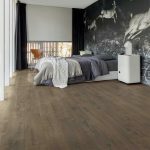 How do LVT and Laminate flooring compare? This entry was posted in laminate flooring, Luxury Vinyl Tiles and tagged durable floors, Laminate or LVT, waterproof flooring, laminate flooring, luxury flooring, luxury vinyl tiles, LVT on September 24, 2018 by Chris Elliott. 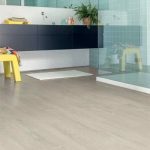 What are the benefits of using Luxury Vinyl Tile flooring? Luxury Vinyl Tile or LVT flooring is a fantastic choice for any home, property development or commercial space. 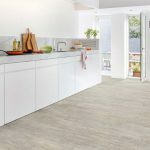 It is becoming a popular alternative to wood or laminate flooring as it is extremely robust, waterproof and available in beautiful and authentic designs. Its versatility means that it can be used in any room in your home. This entry was posted in Luxury Vinyl Tiles and tagged durable flooring, advantages of LVT, waterproof flooring, benefits of LVT, luxury vinyl tiles, LVT on June 19, 2018 by Chris Elliott. 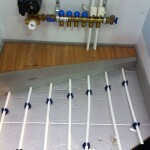 What Flooring is Suitable for Underfloor Heating and Why? This entry was posted in Uncategorized, Underfloor heating and tagged engineered and underfloor heating, laminate flooring, laminate, luxury vinyl tiles, LVT, underfloor heating on April 20, 2018 by Chris Elliott. 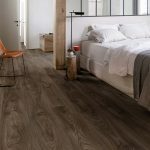 What is Luxury Vinyl Tile (LVT)? This entry was posted in Luxury Vinyl Tiles and tagged luxury flooring, low maintenance flooring, flooring for bathrooms, flooring for kitchens, benefits of LVT, installing flooring, luxury vinyl tiles, LVT, floating floor, Under floor heating on August 30, 2017 by Chris Elliott.